We moved to a farm in 1995 weeks before our first son Connor was born. The farm came complete with chickens and the associated larger animal neighbours typical of woodlot/field landscape. As we grew to love the daily eggs provided by our chickens, we realized that a dog would be helpful not only as a family pet but also as a deterrent to the resident coyote, wolf and fox population. These animals, as well as a danger to our chicken flock could also be dangerous to young children playing outside. 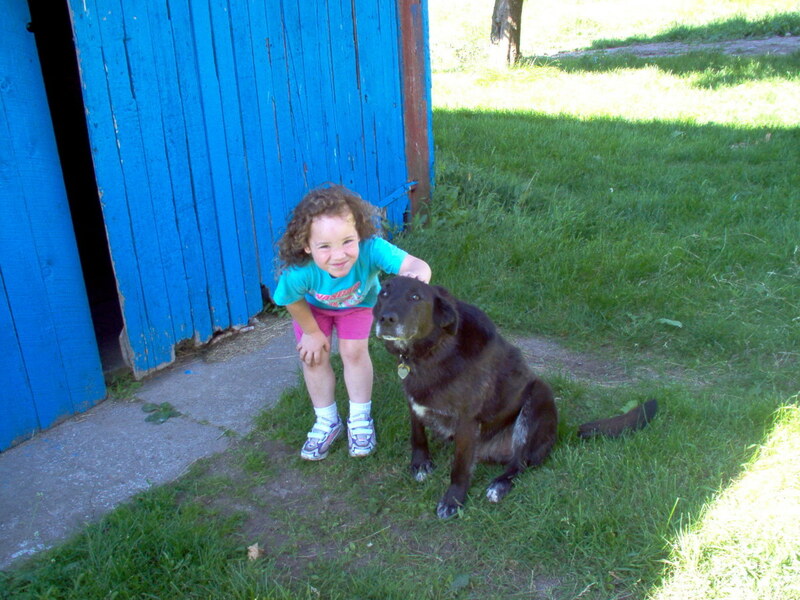 As a young girl, I had not been fortunate to own a pet dog. My husband also did not have a lot of experience in raising dogs but we forged ahead with our plans and hunted for our first dog. We have raised four dogs on our family farm to this point and are looking forward to raising a fifth since the latest passing of our two black lab crosses who reached the ripe old ages of 15 ½ years. We have always opted for rearing puppies as we felt it was the best option while having young children. Most puppies come to your home with no behavioural baggage from mistreatment. We have learned a lot from our past experiences and I hope you can learn something from our mistakes and experience. 1. 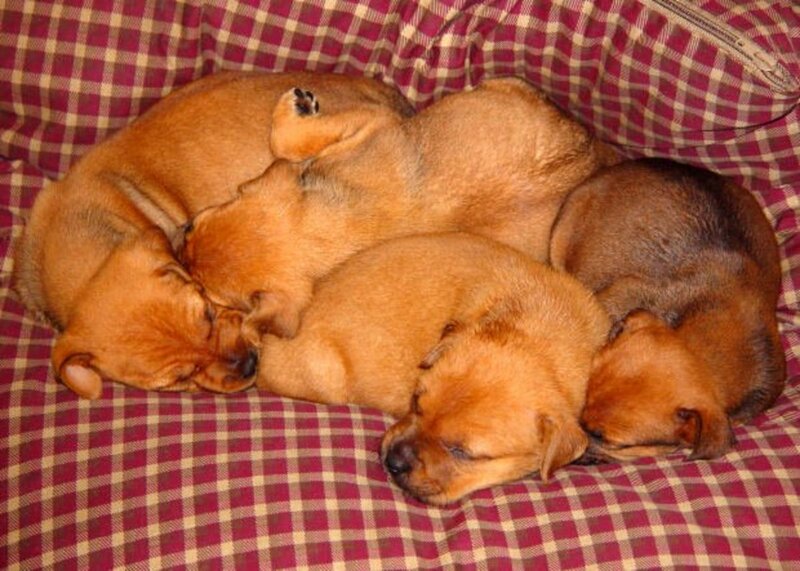 If acquiring a puppy, make sure if possible that you have a litter to choose from. 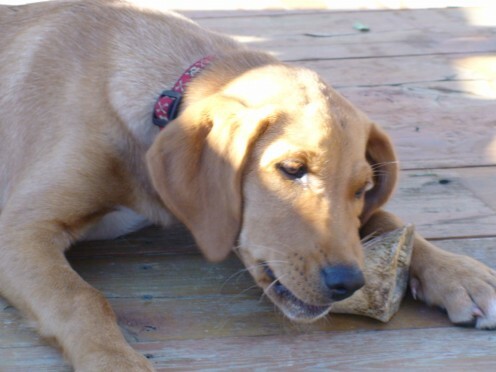 Our first puppy came from a private home and was a mixed breed. I have found doing research and knowing quite a bit from my university genetics classes that hybrids tend to be healthier because there is a very small chance of damaging recessive genes coming together resulting in a number of weaknesses often (but not always from a very reputable breeder) found in purebred breeds of dogs. Chimo, our first puppy was the only one left from his litter and looking back on the personality that arose in the adult dog, I am not surprised. He appeared healthy but not rambunctious as most puppies tend to be. His eyes were clear and he had no signs of illness but looking back he was too quiet and withdrawn. However, we did not have his litter mates to compare his behavior. As a teacher, I like to time the arrival of a puppy when school is finished and I as the adult have the time to spend with the animal. With that in mind, and looking at the cute puppy before me, I set aside my misgivings. Chimo arrived in early August at two months of age so we had five or six weeks of bonding before school started again in the fall. 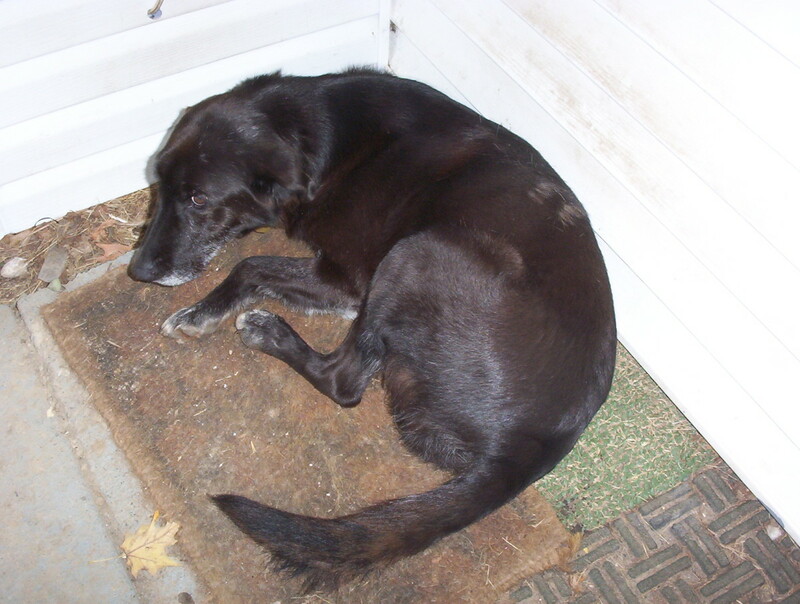 Although he became a beautiful adult dog, Chimo was somewhat withdrawn and aggressive. I am sure we made other mistakes in dog rearing that I am not even aware of but I believe my first stirrings of misgiving when seeing him as a puppy for the first time were a foreshadowing of the adult dog he was to become. He did not seem to bond well to my husband or myself and he was very aggressive at his food bowl which is a concern I will address later. 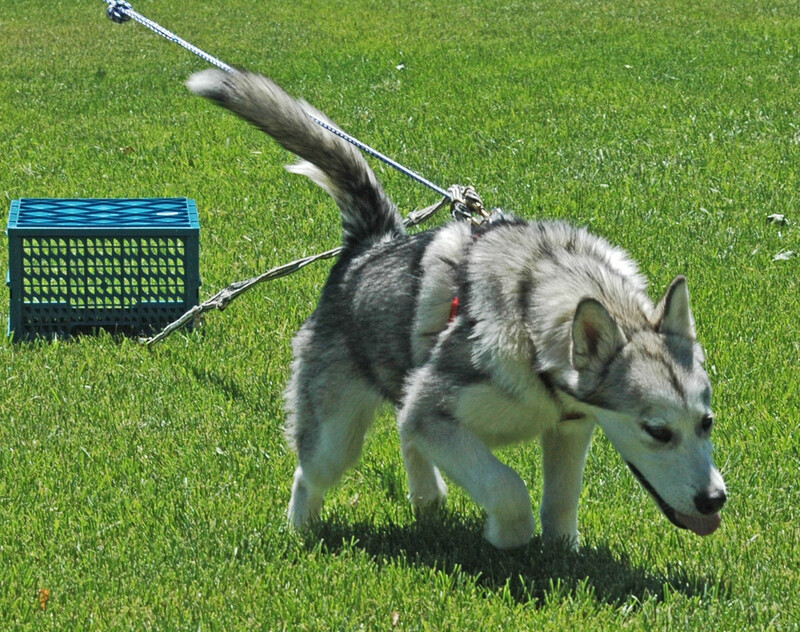 As a part husky, he was also a runner. He constantly escaped from his leash and met his demise running along the highway near our home. 2. 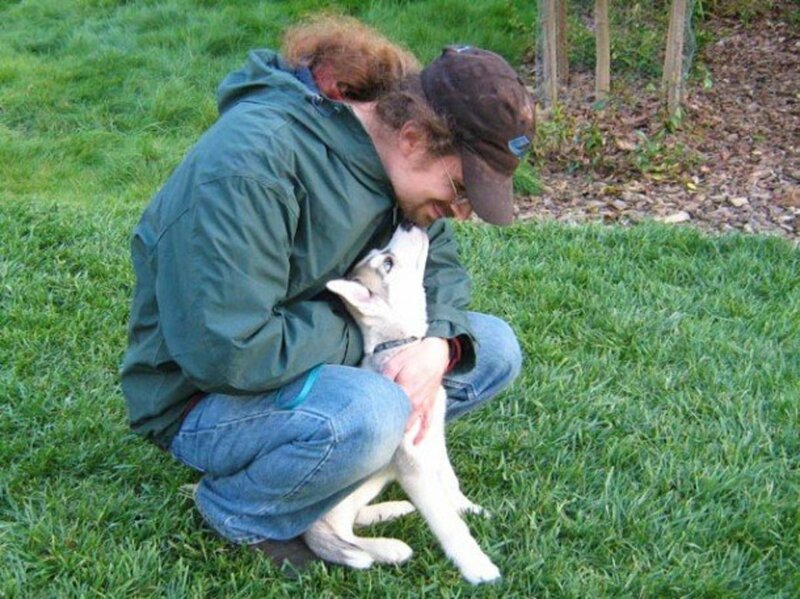 When picking from a litter of puppies, cradle each in your arms like a baby and choose from those that remain calm and do not struggle tremendously in this position. 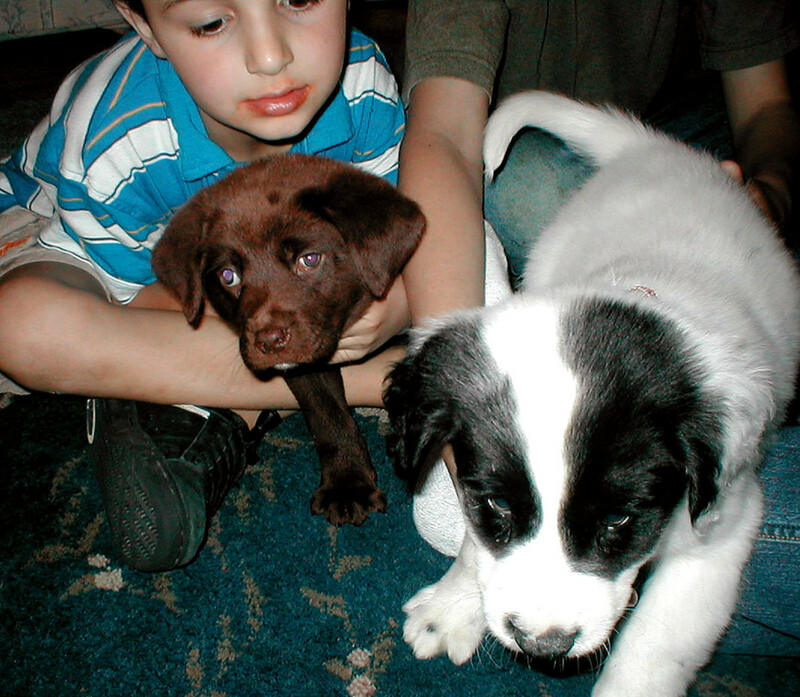 My son, when in grade 7, decided he would like a puppy to raise as his own. He spent many hours reading about the task involved and already spent a lot of time with our two older lab cross dogs that had been with us since Connor was one year old. We found a family who had a litter of yellow lab cross puppies for sale at a minimal cost and he and I set out one afternoon to hopefully choose a puppy. The litter consisted of about 10 puppies and Connor was thrilled and a little overwhelmed at the choice he had to make. The woman selling the puppies gave us the advice of picking up each puppy in turn. She told us that those puppies that struggled less when held like an infant were more submissive puppies and would make ideal pets for a home with children. 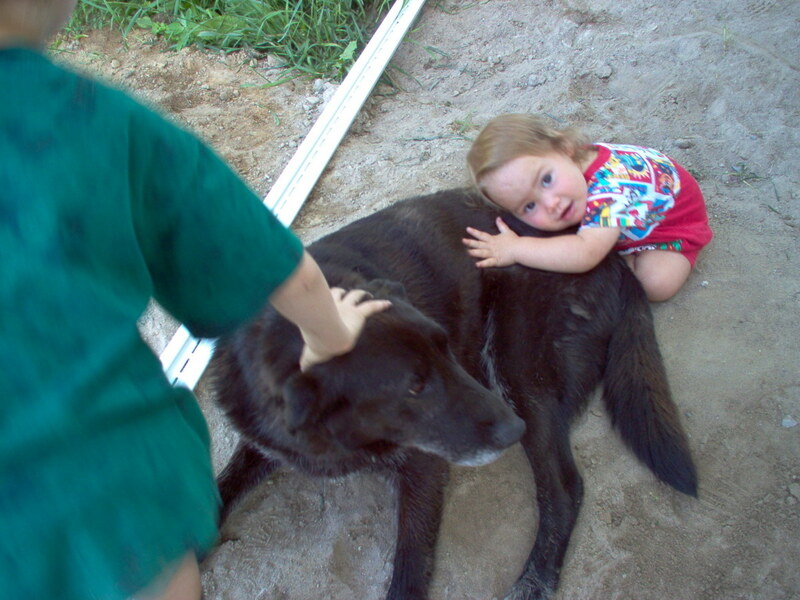 Rosco, who was chosen by this method, has been an ideal pet for Connor. He is loving and easy to train and respects his position in ‘our pack’ as a subservient member. This does not stop him, however, from stealing the football and soccer balls from the boys when they all play outside! 3. For the first month or so, make sure you are present with the children and put your hands in and out of the food bowl while the puppy is eating. We did not even think about this while raising Chimo. His personality may have contributed to his aggression at the food bowl but again a kind neighbour who bred and raised dogs herself suggested this tactic to us when we acquired Akila and Dakota, two litter mates. These lab cross puppies were very playful when we first saw them but as Connor, our oldest, was walking by this point we wanted to ensure as little aggressive behaviour as possible as kids are known for putting their hands into everything! We followed this piece of advice. When the food first went into the bowl, we put our hands in while the puppy was there. Once they began eating in earnest, we left them to their supper. Neither of these dogs was ever aggressive during feeding time. In fact, my youngest son, Kieran, became their feeder when a toddler. He decided that the hard nuggets of dog food were a treat would often grab one or two from the dog bowl after he filled them. Akila and Dakota would sit patiently and wait for Kieran to be finished before they began eating their dinner. We used this strategy on Rosco as well with the same fantastic results. I don't mean to imply that we invaded their space while eating dinner every time. After the first week or two, we used the strategy less and less until at three months of age we abandoned this strategy entirely as the desired result had been achieved. 4. Immerse the puppy in as much family life as possible even if ultimately they will be primarily an outdoor kennel dog as is the case for our farm dogs. As we live on a farm, part of the reason for having a dog is to discourage larger predators from encroaching near the house and barn. Coyotes and foxes and racoons love easy prey and our chickens make for easy hunting. 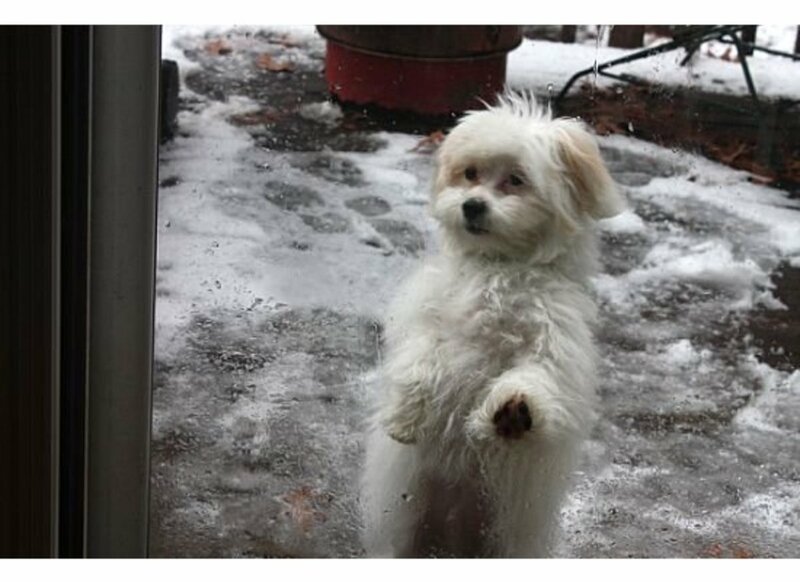 Keeping a dog outside for most of the day and night discourages most prey animals from coming too close. As we have an insulated dog house and fenced kennel, our dogs are comfortable with this lifestyle. If the weather dips too low the occasional day or week then they live in style at night in the house. My husband was not prepared with our first dog to allow him inside as the two dogs they owned when he was younger were never allowed inside. I’m sure part of Chimo’s adult personality arose from the evening separation sleeping in a stall in the barn. We did not make the same mistake again. Puppies live in our home for their first two months at least and by the time school resumes again in the fall they are well adjusted and bonded to "our pack." 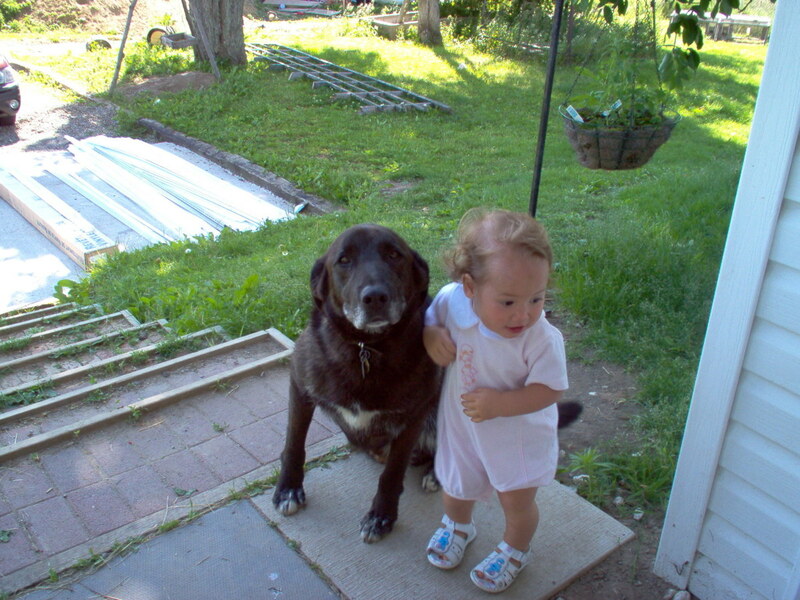 Akila and Dakota were excellent guardians for our kids when they were very young. 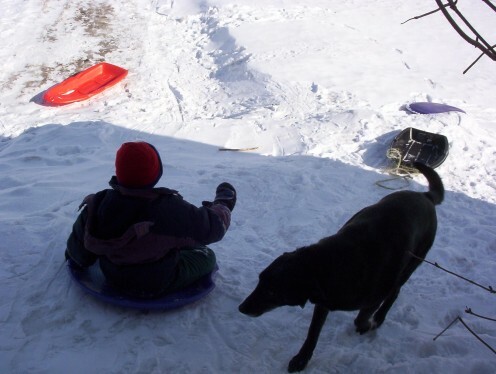 Anytime a stranger to him was visiting, Dakota especially would follow the boys everywhere. Rosco, as the only surviving member of our dog ‘pack’ never lets the boys go out playing without him. He is their constant companion for every sport and for every walk to the forest on our property. The constant attention he received from every member of our family ensured a well-rounded, playful but respectful adult animal. The above four pieces of advice have been in my opinion, key to raising a gentle, child-friendly animal. 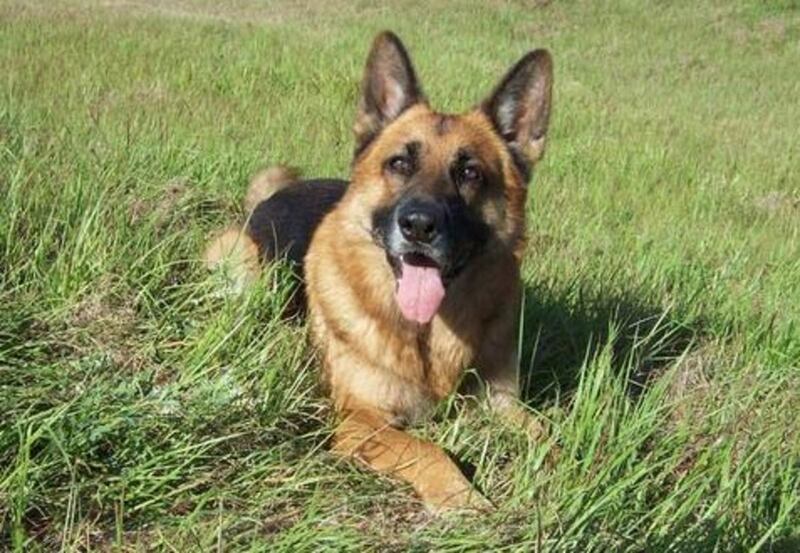 Both Akila and Dakota were ideal dogs towards our family and were gentle with anyone who came to visit. Dogs as members of your pack must understand their position and not regard themselves as the dominant animal or pack leader. Aggressive animals do not work well, especially in a family with children and we have found that the above four tactics have been the most important strategies in raising a gentle dog. What Is a Puppy License? All they need is consistency and trust just like people. I'm so glad you were successful with your rescue pup. It takes a great deal of work just like families do. Thanks for the positive feedback! Thanks for the positive feedback Pannonica. We love our dogs as members of our family. The tips I included in the hub have worked very well for us and our canine family members. We rescued our pup and he was very abused and nervous when we initially got him. I spend a great deal of time sitting on the floor and holding him in my arms to get him to relax. Now he is the most loving dog you would ever meet. Thanks for sharing this great hub! Thanks for the positive feedback. And yes our last three dogs have been extremely friendly and loving members of our pack! Excellent hub! 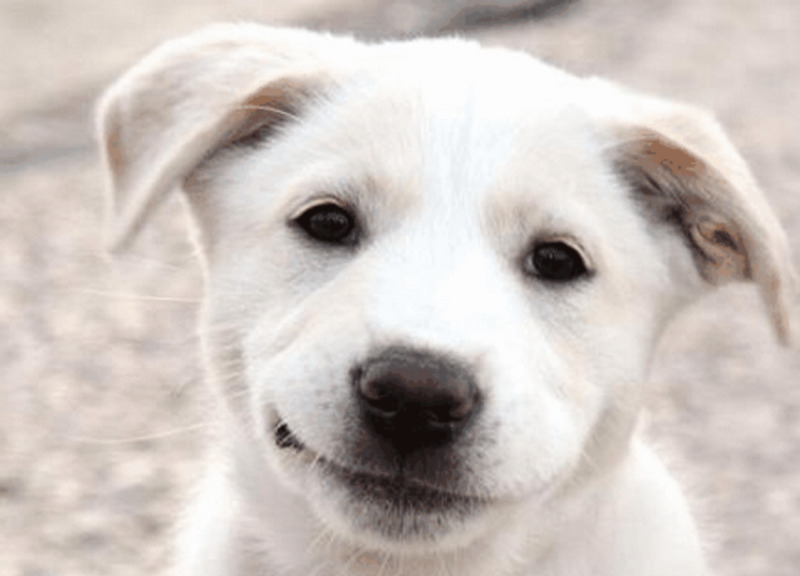 I agree with everything you've said here and hope you don't mind if I link this hub to my hub called Things to consider before getting a puppy or an adult dog. Your photos certainly prove that your techniques work. Voting this Up and Useful. Thanks for the positive feedback TENKAY, much appreciated. Beautiful pictures. Thanks for sharing. Informative hub too. Voted up.